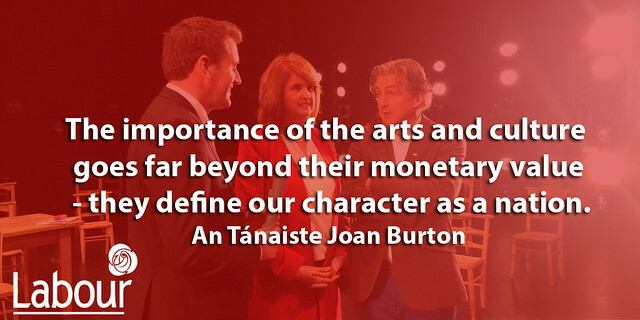 Labour believes that arts and culture are an intrinsic part of society. We need to treasure our cultural past, while also supporting the artists of today. Labour in Government has increased the income exemption threshold for artists from €40,000 to €50,000 and introduced a new integrated languages curriculum so our youngest children now learn English and Irish together. Download our policy document in this area (4095k).